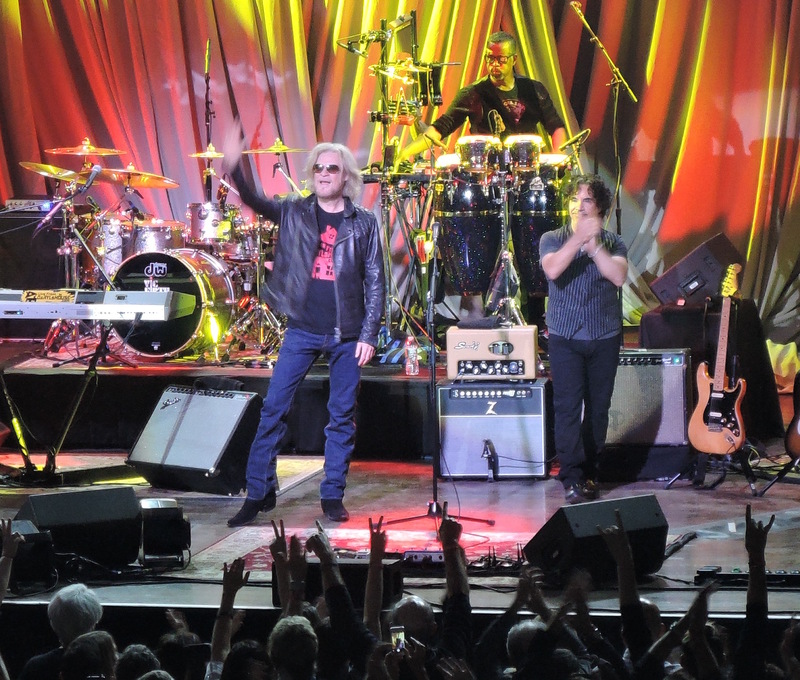 Philly’s own Daryl Hall and John Oates played the first show at the new Philadelphia Fillmore on Oct. 1, 2015. The reality of a Hall & Oates show for me is this: Daryl and John could come out on stage, stand on their heads and play polka music on accordions and I’d be happy with it. 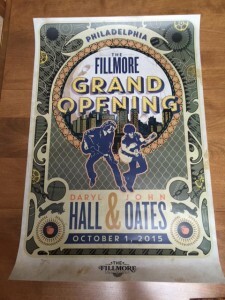 So this will not be an unbiased report on the opening show of the new Philadelphia Fillmore concert venue, which starred Philly’s own Hall & Oates, on Thursday, Oct. 1. The original Fillmore was an iconic venue in San Francisco in the late 1960s that became the focal point of the psychedelic music scene of that era. Back in the day, artists like The Grateful Dead, Led Zeppelin, The Doors, Jimi Hendrix and Santana performed at the Fillmore. Those concerts were staged by the legendary concert promoter, the late Bill Graham. Bonnie MacLean signs copies of the poster she created to commemorate the opening of the Philadelphia Fillmore. With Bonnie is her son, David Graham. The Philadelphia Fillmore is located in the former Ajax Metal Co. building – which itself dates back to the 1890s – off Frankfort Avenue in the Fishtown section of Philadelphia. The building is big and roomy. It actually has two clubs – the ground floor main room which can hold around 2,500 standing on the floor and another 1,200 seated in the balcony; and a smaller club on the top floor of the building that holds around 450 people. Philadelphia Mayor Michael Nutter was on hand to help Hall & Oates christen the venue. 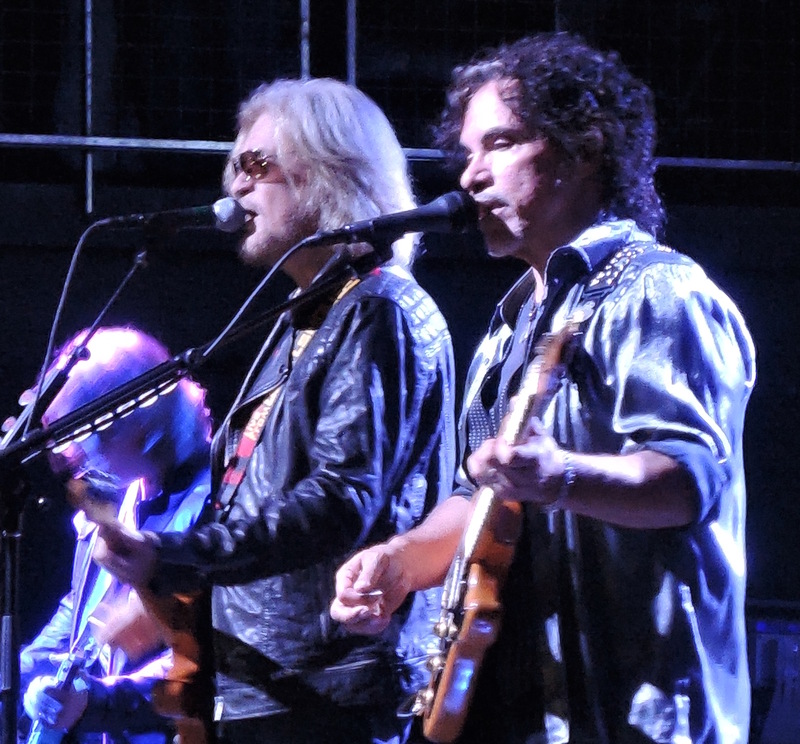 It was a big week for the mayor, hosting Pope Francis and then Hall & Oates in the same week. Nutter, who while in college in the 1970s was a DJ at Club Impulse in Philly, where he was known as “Mix Master Mike,” might be hard-pressed to admit which end of the week he enjoyed more. But my sense is that he might at least concede that Hall & Oates are probably more hip than the pope. As for the concert itself, it’s a pretty simple review: H&O delivered, the Fillmore delivered and the crowd delivered. Even though the show was sold out and the house was packed, I was able to move around both levels of the club without much trouble to take photos. Among those who didn’t deliver were Mother Nature – she can be a ratfink when it comes to the timing of rain – and my knees, which barked at me quite a bit after standing for about three hours during the show. In addition to the poster created by Bonnie MacLean, this poster was also given to fans who attended the first show at the Fillmore. Having seen H&O many times in concert, that’s pretty much the set list one gets. In fact, John has told me in an interview that he and Daryl believe it’s their professional obligation to play all those great hits in concert. Daryl and John thank the enthusiastic Philly fans. If I had a complaint about the set list, it would be that given the time of year and the circumstances of the event, “Fall in Philadelphia” from H&O’s first album, “Whole Oats” in 1972, would have been an appropriate addition for this show. 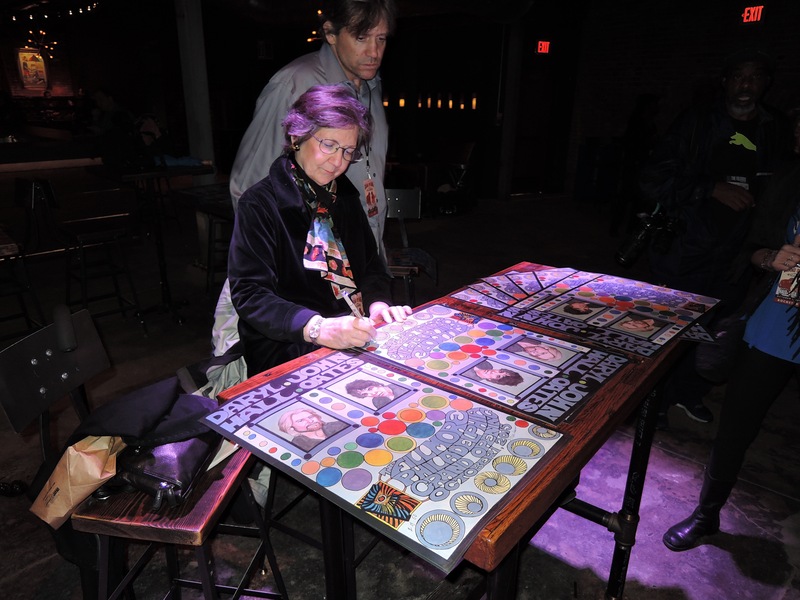 Also on hand for the event was artist Bonnie MacLean, former wife of the aforementioned Bill Graham, who created some of those memorable and iconic psychedelic concert posters for the San Francisco Fillmore in the mid- to late-1960s. 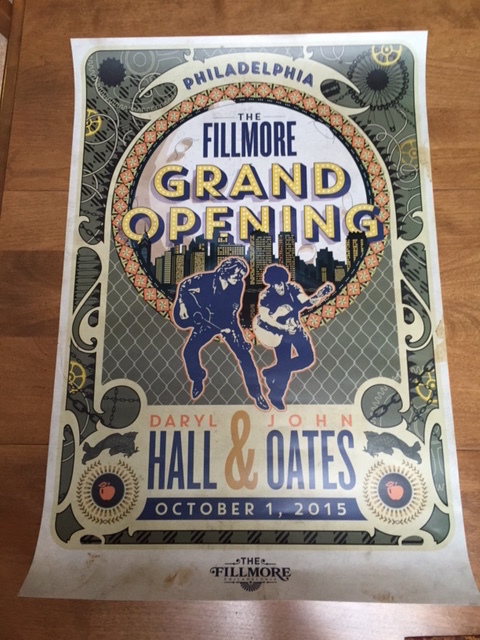 She was commissioned to create a Fillmore-style poster commemorating Hall & Oates and the inaugural show at the Philly Fillmore. On the way out after the show, each fan was given a print of Bonnie’s artwork as well as another poster commemorating the event. Both are very cool collectibles. Daryl. John. Fillmore. Philly. It was as close to perfect as it could get.